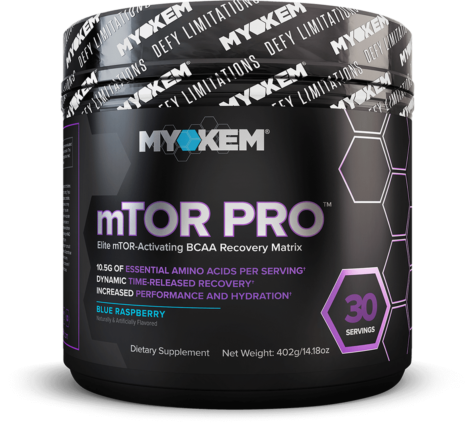 From extensive lab studies to clinical trials, MYOKEM™ has developed a unique estrogen blocker and hardening agent to improve your fitness and muscle tone. 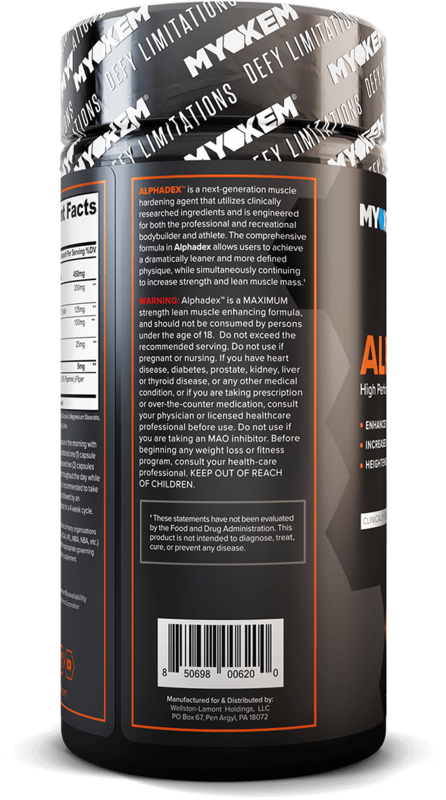 Alphadex™ features a unique formula of scientifically tested ingredients proven to decrease estrogen, increase testosterone and deliver results. 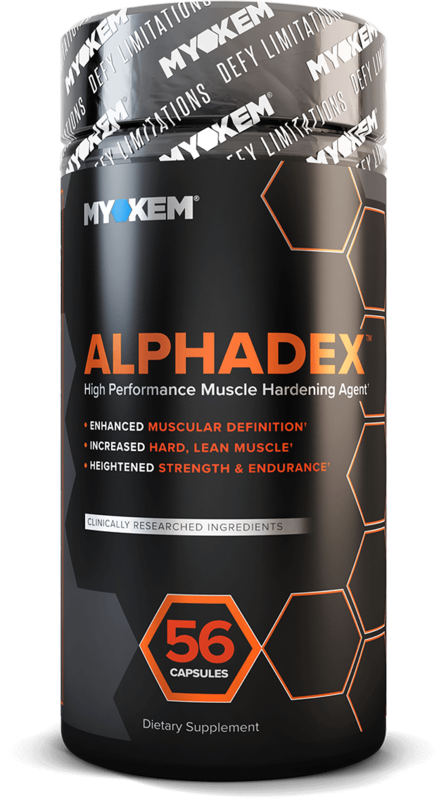 As a high performance hardening agent and testosterone booster, Alphadex™ combines several ingredients to increase your strength and stamina while giving you lean, hard muscle mass that is perfectly toned and well-defined. Alphadex continuously for 8 weeks, followed by an off-period of 2 weeks. Each bottle lasts for a 4 week cycle. 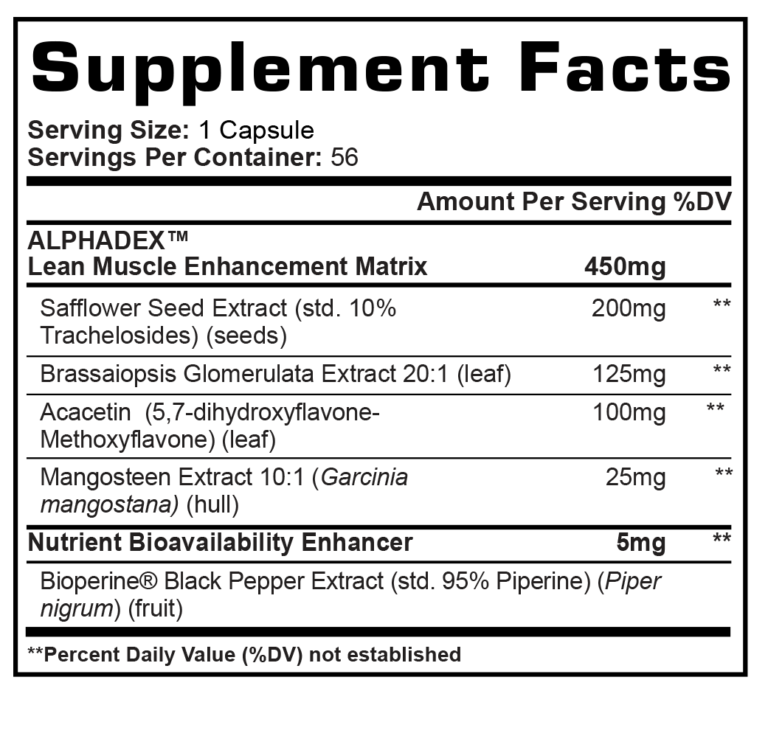 SAFFLOWER SEED EXTRACT – Studies have found that safflower seed extract can help to reduce fat around the midsection while increasing lean muscle mass. 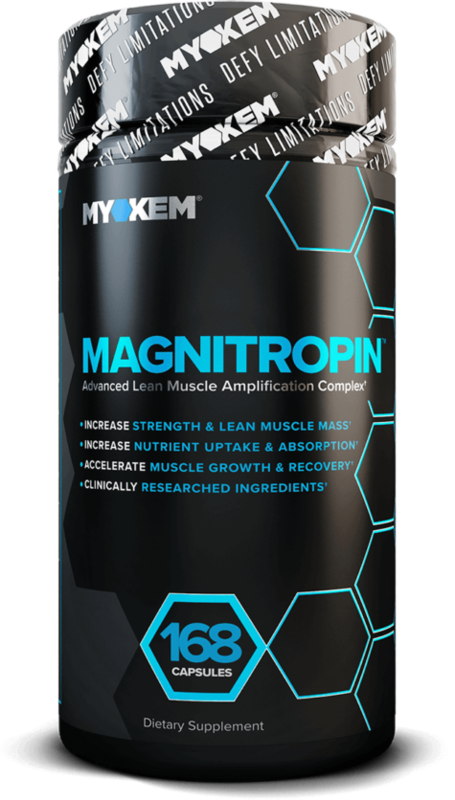 BRASSAIOPSIS GLOMERULATA EXTRACT – By inhibiting aromatase, Brassaiopsis glomerulata extract effectively increases the amount of testosterone in your body while blocking estrogen. ACACETIN – Acacetin also works to regulate aromatase and support a healthy ratio of testosterone to estrogen. 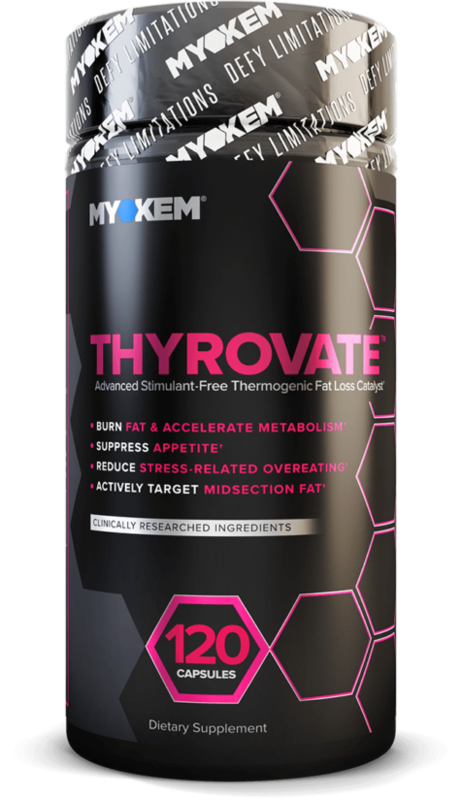 GARCINIA MANGOSTANA EXTRACT – Studies have found that the Garcinia mangostana extract can accelerate weight loss to eliminate stubborn fat and provide even greater definition in your muscles. 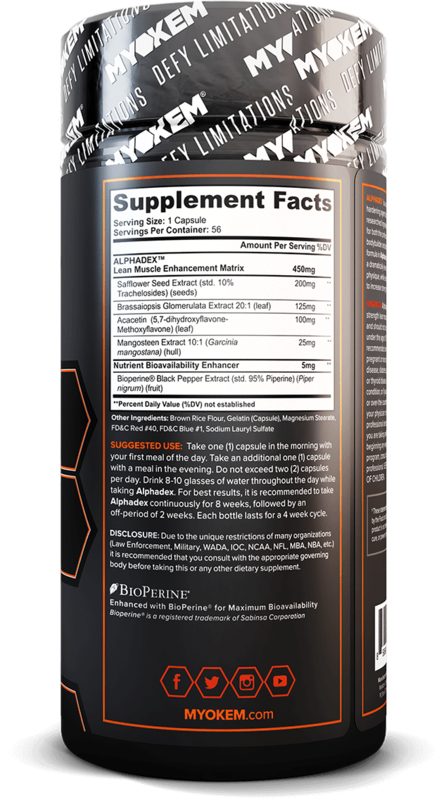 BIOPERINE® BLACK PEPPER EXTRACT – Recent studies suggest that piperine can effectively stop the formation of fat cells and reduce levels of fat in the bloodstream. 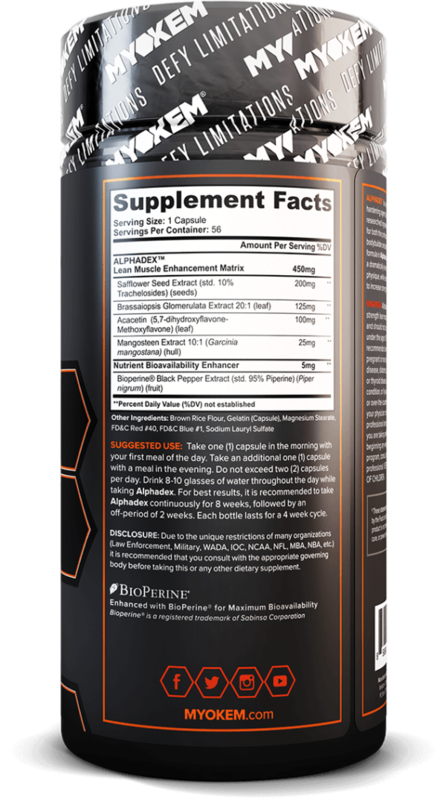 Other studies have also found that the piperine in black pepper extract can modify supplement metabolism.